Ongoing activities of the diocesan ECW. If you have specific questions about the following events or any activity of the diocesan ECW, contact Kae Wrinkle, East Tennessee ECW president, at kmwrinkle@charter.net. We worshiped with Bishop Brian, spent time with our preacher, the Rev. Gayle Brown, our speaker, the Rev. Dorrie Pratt, renew old friendships, made some new ones, and heard from our own Pat Rutenberg, Province IV Past President and Kae Wrinkle current ECW President about Triennial. Our Special Guest was the Rev. Dorrie Pratt of Good Shepherd, Knoxville. Recently returned from a trip to Tanzania with Bishop Cole, several priests, and lay people from the diocese, she shared her learnings and observations involving the Women’s Empowerment Movement there and how we as Women in The Episcopal Church might be able to support that effort. Province IV ECW Annual Retreat Was Wonderful! Our focus was on building bridges in the country and in the world. 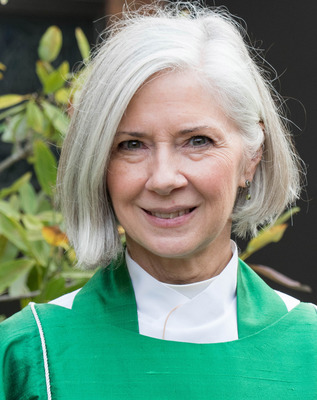 Dr. McCann lived and worked in Dodoma, Tanzania, in the Anglican Diocese of Central Tanganyika, for more than 12 years with her husband, Martin (also a physician), where she served as communications director for Msalato Theological College, as well as fulfilling other roles there. She also served St. Philip’s Theological College in Maseno, Kenya. She is a priest, tutor, radiologist, assistant professor, chaplain, communications director, mother, wife, and grandmother. The Martins returned to the United States in 2015 to the Diocese of Atlanta. 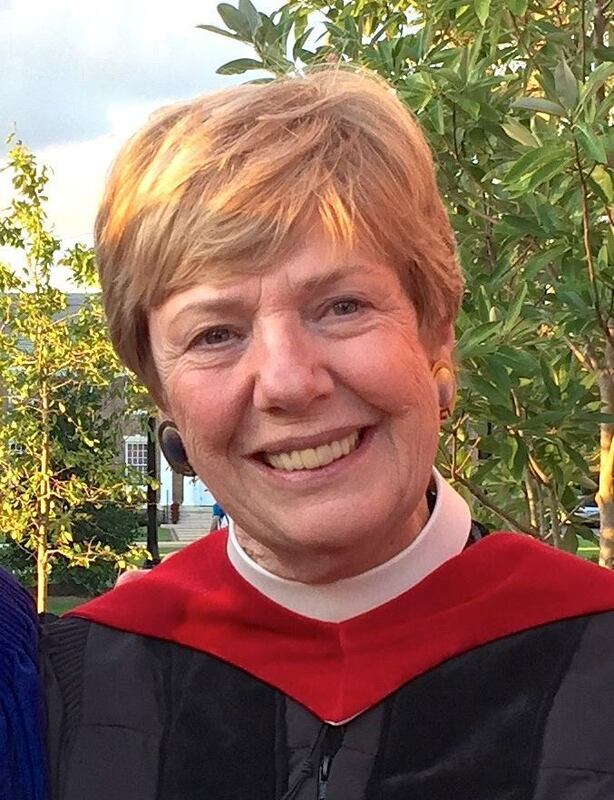 In 2016 Virginia Theological Seminary awarded her an honorary doctor in divinity, degree (honoris causa) She had earned her Master in Divinity degree from VTS in 2003. Earlier, she attended the School of Servant Leadership as part of the mission of the Church of the Savior in Adams Morgan area of Washington, D.C. The retreat, held at Kanuga Camp and Conference Center, offered opportunities for workshops to assist individuals with diocesan and parish ECW chapters, as well as time for recreation and fellowship. We worshiped with Bishop George before he retired, spent time with our preacher, Sarai Wender, renewed old friendships, made some new ones and heard from our own Pat Rutenberg, Province IV President. The Tucker Memorial Scholarship Fund was established by the ECW of the Diocese of East Tennessee according to the ECW 2004 yearbook, “in thanksgiving for Mollie Tucker’s life and witness and for her many years of service to the Episcopal Church Women in Tennessee.” The financial award is intended to help recipients reach educational goals at accredited colleges or technical schools. Since 1988, more than 25 women in the diocese have been awarded a Mollie Hazen Tucker Scholarship. It is a one-time grant, currently $2,000, for one year only. If you would like to nominate someone for the scholarship or support this program of the Episcopal Church Women, please contact the Tucker Scholarship Chair, Mary Lee-Baer, volswatcher@comcast.net, 423-333-0216. The deadline to apply for grants is May 1 of each year (applications must be postmarked no later than May 1). Winners are announced around June 1, Tucker’s birthday. Information, guidelines and applications for the scholarship are available from the ECW Scholarship Chair Mary Lee-Baer, volswatcher@comcast.net, 423-333-0216. Meet Haley Chadwell, the Mollie Tucker Scholar for 2018! At right is a picture of Susan accepting a Diocese of East Tennessee UTO Grant at the 2015 ECW Triennial in Salt Lake City. Susan was East Tennessee’s ECW president in 2015. Many thanks to Susan for all she does for our ECW! 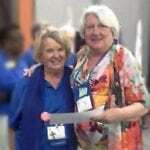 Pictured are (r) Susan Bolt, eceiving the award from (l) Marcie Cherou, National UTO Chair. Dr. Patricia Rutenberg is Province IV ECW President! Our own Dr. Patricia Rutenberg was installed as the Province IV President at the Province IV Women’s Conference at Kanuga Conference Center in June 2015. Congratulations Pat! Province IV includes Tennessee, Georgia, Florida, Kentucky, Alabama, Mississippi, South Carolina, North Carolina, and part of Louisiana. 865-242-3670. You’ll also send me your UTO Ingathering checks! Your UTO ingathering checks should be payable to “ECW” with “UTO” in the memo line. Please contact me if you need the mailing address. All checks must be received prior to December 15.